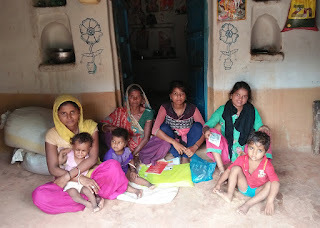 Bimla Prajapati along with her daughters and grand children at his home. Thirty-year-old Ramsakhi Adivasi doesn’t want to be sterilized unless she becomes mother of another boy-child. A mother of five children- four daughters and a son- Ramsakhi, who lives with her husband in Teehar village of Sagar district in the Central Indian State of Madhya Pradesh, still hopes that the next child would be a son. Residing in a kaccha house (mud house) with her husband, who is a daily wage labourer at a brick kiln in neighbouring district, Ramsakhi is in her fourth trimester of pregnancy and hardly gets enough nutrition to take care of herself and her brood of five children. However still, she is convinced by her husband to produce a child – another heir to his name and family - till the family doesn’t get another son. “Children are a gift from God, so nothing is there in our hand, else I would have been a father of 5 sons,” Ramsakhi’s husband Dhansingh says in a quite careless manner. Since Ramsakhi was away from the village with her husband at the brick kiln located in Raisen district since an year, the conception occurred there 7 months ago and neither she bothered to get her checked up in hospital nearby nor she got services being rendered by the State government through the Village Health and Nutrition Day (VHND)- a monthly health camp held by the Madhya Pradesh State government in rural areas where more than a dozen of health services are rendered to people, especially women and children, for free. When the community health worker, commonly known as Accredited Social Health Activist (ASHA), Rekha Dixit learnt about Ramsakhi’s return to Teehar, she called her for the health checkup wherein both the ASHA and the Auxiliary Nurse Midwife (ANM) Lata Rohitas stressed upon post delivery sterilization so as to avoid more children. “We try to tell every women to get the sterilization operation done after second child or at least get the IUCD inserted so that needed gap is maintained in pregnancy but handful of them listen to us,” said Dixit, adding that in village, men dominate the family and women have to follow them. She also added it is almost impossible talking to men on Vasectomy (male sterilization) or even using the temporary methods of contraception. Alike Ramsakhi, Bimla Prajapati of Dudhani village in Sheopur district hesitates to come outside of her semi-concrete house whenever health workers and volunteers visit het doorsteps for rendering health related services and she hardly talks with any ‘new face’, be it health counselors or government officials from district or State. “They always ask about number of children I have. What is wrong in it if I have 9 kids, do I ask for food from anyone?” she questions as this correspondent tried to converse with her. She was asked by the ASHA worker and the ANM for getting her sterilized just after her third daughter, but both she and her husband refused it for want of a boy child. Amongst her 9 children, there are eight daughters and a six-year old son with the youngest one in the brood being a 2.5 years old daughter. Bimla’s two daughters are married with the eldest one Pinky (24)- a mother of two children- is surprisingly mother of children older than her smallest sister. “Bimla’s husband had to sell his few acres of land for getting both the daughters’ married while still the family is unable to look after the youngest girl due to which she is in the ambit of malnutrition. Finally, after suffering labour pains for multiple times, she agreed for the LTT operation (Leparoscopic Tubectomy) which was conducted two years ago,” narrated the Anganwadi Worker (AWW) Sulochna Mehra. Alike Ramsakhi and Bimla, one would come across thousands of multiparous women who gave birth to children continuously without the required spacing of 2 to 3 years not only affecting the family planning process of the country but is also bringing misery to their respective lives. While experts say that multiparous mothers are more vulnerable to several health related ailments like postpartum haemorrhage, vaginal rapture, severe anemia, excessive bleeding etc, they also are of the view that using the contraceptives by the community is still a distant dream in rural areas. “There are two things, first if the mother is pregnant without a minimum gap of 18 months, her health will deteriorate for that much period is needed for total recovery post-delivery. She is likely to get anemic (a high risk condition), besides it will be difficult to look after two small children,” said Dr Meeta Agrawal, a Bhopal-based Gynecologist working in field of mother and child health since 15 years. She said that since Madhya Pradesh is a patriarchal society, so rural people believe that if a boy is not born, their family tree will not flourish. “We all know both men and women are needed to reproduce but still we come across cases where people want more and more boy child thinking that more sons are needed to show off the muscle power in society,” Dr Agrawal explains. Data both at the national and state level showcases a grim picture of Madhya Pradesh State so far as family planning is concerned. As per the annual health bulletin of the National Health Mission (NHM), Madhya Pradesh with the set target of 550000 sterilizations, the State achieved 404219 in 2015-16 while in the year 2016-17, the figures dropped to 353498 sterilizations. The annual achievement of Intrauterine Contraceptive Device (IUCD) insertion was 51 percent in 2015-16 while in 2016-17, there is a steep decline of 4 percent (47 percent IUCD insertion). In many cases, the husband or the mother-in-law of woman either restricts her to not get the IUCD inserted, while there are cases wherein women were forcefully asked by her husband to get the ICUD removed after two days of insertion. “Few days ago we had convinced a mother for IUCD insertion after she gave birth to her second child (a male) and she got it inserted but it had to be removed after two days for her husband started making chaos in hospital. These things happen not only in rural people but urban ones also do it for they believe in several social stigmas and orthodox,” recalls Hemlata Garg, the Women Health Counselor at government-run District Hospital in Sheopur, the district which was in news last year for hundreds of children’s deaths following malnutrition. To some extent it is easy to convince the women for getting the LTT operation (Leparoscopic Tubectomy) done but making their husbands ready for the Vasectomy is a daunting task to perform for they think it will tarnish their image in society. “Sometime we come across men who say if they are sterilized, they would be prone to pranks, to be thrown on them by their friends, questioning the manhood. This is a misconception and needs to be erased from the people’s mind that sterilization has nothing to do with losing the ‘sexual power’,” explains Dr Jyoti Chauhan, Senior Gynecologist posted at the Women and Child Wing of Bundelkhand Medical College and Hospital (BMCH), Sagar. Alike the country, there is a sharp fall in the Total fertility Rate (TFR) in Madhya Pradesh State where the rate declined from 3.1 children per women in 2005-06 to 2.3 children per women in 2015-16, as per the data of the National Family Health Survey (NFHS-4) but percentage of male sterilization fell down to 0.5 percent in 2015-16 from 1.3 percent in 2005-06. Frequent pregnancy without spacing and more children in family leads to malnutrition of under-5 children in rural areas where the neither the mother nor the children are having timely diet. “Rural women have no timing fixed for their diet and even during pregnancy they hardly eat healthy food twice in a day. Moreover they are burdened with so much of domestic work which results in skipping of diet more often. In such a situation, producing more children will be an additional burden on the family, mother in particular,” maintained Leena Singh, a social activist working in community health for the past 2 decades. She added that giving birth to a boy child is considered as a matter of pride which multiplies the existing women health problem in a big way. The recent data of the Sample Registration Survey (SRS) conducted by the Registrar General of India claims that Infant Mortality Rate (IMR) in rural Madhya Pradesh is 54 per 1000 live births, higher than national average of 41 per 1000. 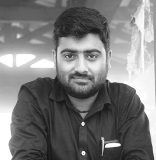 Bhopal-based social activist Sachin Jain says, “Even the early age of marriage is contributing to the problem in a big way for the fact women conceive womb at a tender age and during her fertile age, her daughter is married and in those cases both mother and daughter becomes pregnant in lack of contraception.” He added that unless male members of the society will not come to the forefront, it will be difficult to solve the problem of increasing population resulting into ill health of women. Note: The views, opinions expressed by the author and those providing comments are theirs alone, and do not necessarily reflect the views, opinions, positions or strategies of www.newscrust.com or any employee thereof. www.newscrust.com makes no representations as to accuracy, completeness, correctness, suitability, or validity of any information on this site and will not be liable for any errors, omissions, or delays in this information or any losses, injuries, or damages arising from its display or use.www.newscrust.com reserves the right to delete, edit, or alter in any manner it sees fit comments that it, in its sole discretion, deems to be obscene, offensive, defamatory, threatening, in violation of trademark, copyright or other laws, or is otherwise unacceptable. men dominate the family and women have to follow them-No, I don't find it completely true.I belong to Haryana and married in Punjab.I hv found that women are more willing for male children.It is the scenario of developed zone of North India where child ratio is very disturbed in both states.Situation is worst in urban areas and educated families as well.staralizing can't be the remedial step in a sick society where people opt second marriage to have boys when first wife exists at their home.No one worries.Female society gives a green flag to such practices.Even the first wife gives nodding to go for the second marriage. Presented The True Scenario Of Rural Area.